Romanian MP’s initiative: Adopt a motorway! Ionuţ Simionca, MP of the People’s Movement Party initiated a bill entitled Adopt a motorway!, which would create supplementary founds for motorway construction. According to Simionca, this bill would allow citizens to donate 2% of their income tax to support highway construction. In Romania citizens can redirect 2% of their income tax on salaries or pensions to different NGOs. MP Ionuţ Simionca presented his idea at a press conference held in Beszterce/Bistrița on Saturday. According to his plan, regional investment funds would be established, and the citizens could donate the proportion of their taxes to these founds. Simionca also underlined that companies would be allowed to donate 20% of their profit tax to the funds as well. The money collected from the companies and citizens could be invested in motorway construction. –”The construction of the Northern Motorway could last 20-30 years, and I don’t want that, I want to use this highway as soon as possible. 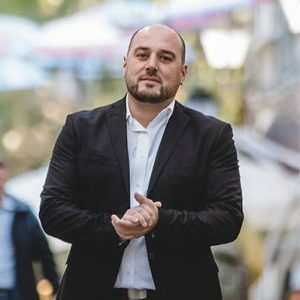 In order to do that I initiated a bill entitled Adopt a motorway!, because together we can make Romania a country similar to the Western countries”, the MP said. The motorway of the North that was initiated by the People’s Movement Party as well, would connect Szatmárnémeti/Satu Mare with Suceava, running East to Wes from the North of Transylvania to Moldova. “I conducted a survey on my Facebook page, and 75% of the respondents supported this project. This bill would not force the citizens to donate their taxes to this cause, but would create an opportunity to support motorway constructions for them” voluntarily”, he added. Simionca thinks that this initiative would speed up constructions as it would create a supplementary fund for it. He also underlined that Adopt a motorway! is a concept that works in the USA, where people offer money for the upkeep of the motorways.